Until recently, Japan was one of the world leaders in nuclear power, so such a shift is very significant, both culturally and economically. It has been revealed the central government did not let on to the public how damaging some of the possible scenarios may have been. About 10,000 spent fuel rods were being stored in pools of water near the damaged Fukushima reactor, and the government officials didn’t know if those fuel rods were in danger of releasing additional large amounts of radiation. It took them a long time to check to see if the water levels in the pools were safe or unsafe, “We barely avoided the worst case scenario, though the public didn’t know it at the time,” Mr. Funabashi. He is a former Australian diplomat and the brother of Helen Caldicott, the well-known anti-nuclear advocate. Fallout from Fukushima is partly an account of the trip Broinowski took shortly after the earthquake to interview locals, expats, academics and officials in Japan about their experience of the meltdown and their views on the future of nuclear power. 16 May 2014 The source of the radioactive leak at the damaged Fukushima Daiichi nuclear power plant was finally identified by the facility’s operator, TEPCO, to be in the primary containment vessel of reactor 3, authorities reported. In January, the crew of the plant first noticed that water was leaking through to the drain on the first level of the building housing the reactor. Engineers probed the space with a camera and found the water leakage to be near a pipe joint that connects directly to the containment vessel. 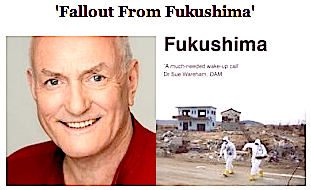 Credit: NaturalNews Monday, 21 July 2014 by: David Gutierrez, staff writer Tags: radiation, Fukushima, Tokyo In an essay addressed to his colleagues, Japanese doctor has explained why he recently moved away from Tokyo to restart his practice in western Japan: He believes that Tokyo is no longer safe to inhabit due to radioactive contamination caused by the 11 March 2011, meltdowns at the Fukushima Daiichi nuclear plant. The essay, titled “Why did I leave Tokyo?” was published in the newsletter of the Association of Doctors in Kodaira, metropolitan Tokyo. LEAKING NUCLEAR WASTE CONTAMINATING GROUND WATER Credit Natural News “Hanford Determines Double-Shell Tank Leaked Waste From Inner Tank. This headline on a U.S. Department of Energy (DOE) press release from last October is bigger news than it first appeared. For the first time, the massive storage tanks built to hold some of the most radioactive nuclear waste in the world were found to be slowly leaking. The United States campaign to build a giant arsenal of nuclear weapons during the Cold War created an environmental disaster at Hanford Site in Washington State. Highly radioactive sludge being leaked threatens to contaminate the region’s water supply. Hanford is known as the dirtiest reactor site in the world. It has 1,000 inactive dumps, 200 square miles of contaminated ground water, and 50,000 drums of plutonium wastes in temporary storage. For nearly 40 years, Hanford’s eight production reactors made plutonium for hydrogen bombs for the US Military. During that process, contractors dumped plutonium, cesium, technetium, tritium, strontium and other isotopes into the air, soil, and ground water. More astonishingly, they even dumped nuclear waste directly into the Columbia River – the drinking water source for downstream cities. Hanford has 54 million gallons of the high-level waste liquids and sludge contained in 177 aged and decrepit storage tanks. Back in the 1980s, the DOE disclosed that up to 69 of the million-gallon tanks may be leaking. February’s disclosure makes 75; six are confirmed leaking. In 1990, a DOE analysis of radiation exposures downwind from Hanford found that infants and children were heavily contaminated because of drinking contaminated milk. The Hanford Environmental Dose Reconstruction Project found that 13,500 people may have received doses over 33 rads of iodine-131 and that infants and children closest to Hanford could have consumed between 650 and 3,000 rads. A single rad can cause thyroid cancer and other illnesses. Cancers, miscarriages and other health problems suffered by people in the area were linked to the deliberate spewing of 5,500 curies of radioactive iodine-131 to the atmosphere in a Dec. 3, 1949, experiment called “green run,” and on the offhand dispersal of 340,000 curies in 1945 alone. Hanford’s latest six leaks are just a microcosm of the radiation leaked from the site which continues to leak deadly nuclear waste to the Columbia River resulting in a plague of cancer and disease that seems to have no end. What is Washington State doing about this? Washington Governor Jay Inslee and the U.S. Department of Energy are each looking for answers from a private company managing the most dangerous radioactive waste at the Hanford Site, where plutonium was made for the U.S. nuclear arsenal. Inslee has asked his top Hanford adviser to begin inquiries into the situation with the leaking double-shell tank, a spokesperson for his office said. 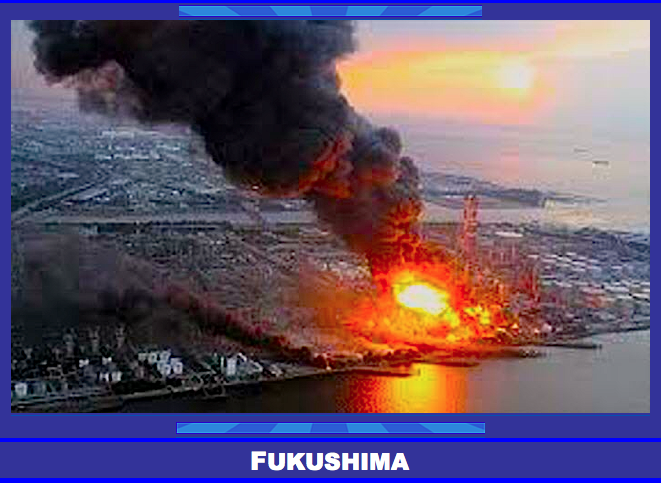 We are facing a truly global environmental crisis from the Fukushima meltdown of 2011. Now, six years later, it turns out that Tepco has no idea where the fuel rods are. Radiation is spiking to “unimaginable” levels… it’s so “hot” that robots are fried in 3-4 hours. No human can survive the 500+ sieverts per hour, and robots are useless. Fuel rods have now melted through the containment vessel floor and there’s no solution in sight. The fake news media has almost a near-total blackout on all this, yet the world is on the verge of a “criticality event” at Fukushima that could contaminate the entire northern hemisphere for 100,000+ years.